Who are the world’s most outstanding mayors? 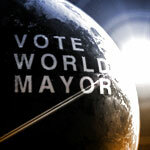 If you know of mayors who have the vision, passion and skills to make their cities amazing places to live in, work in and visit nominate him or her now for World Mayor 2006. Canada will be the best country in the world in which to conduct business over the next five years, according to the latest business environment rankings from the London based Economist Intelligence Unit. Canada assumes the top position for the first time and displaces the Netherlands, which had previously headed the rankings. Canada scores well across the whole range of business environment categories (10 in all). In particular, the country achieves very high scores for the quality of its infrastructure, its open regime for foreign trade and capital, and favourable market opportunities. Canada stands to benefit from improvements to its tax regime and its political environment. Despite pressure on public finances, the Canadian government will be able to implement the remaining elements of a tax-cutting package. The defeat of separatists in Quebec's provincial election in April should end speculation about a third referendum on independence and signal the start of a new era for the territory's relations with the rest of Canada. The Netherlands, which previously occupied top spot in the rankings, remains an attractive business location, ranking second globally. However, while the Netherlands is expected to make modest progress at reducing its tax burden and reforming its labour markets, these improvements will be offset by a deterioration in the macroeconomic environment, reflecting weaker GDP growth and public finances. The UK will also remain an attractive business location, even though it is one of only five countries out of the 60 covered by the Economist Intelligence Unit's rankings that registers a decline in its overall score for the 2003-07 forecast period, compared with the previous five years. The fall in the UK's score reflects the country's increased exposure to international terrorism, weaker GDP growth and deteriorating public finances. All regions bar North America are expected to enjoy improvements to their operating environments for business over the next five years. The fall in North America's score causes the decline in the US rankfrom first in 1998-2002 to fifth for 2003-07. This is the result of the US's increased exposure to geopolitical risk, major imbalances in the economy, and weakening public finances. Western Europe will close the gap somewhat with North America, but will continue to offer a less favourable environment despite modest progress in reducing tax burdens and making labour markets more flexible. The biggest absolute improvements occur at the bottom of the league table  in Eastern Europe and the Middle East and Africa. The world economy suffered several major shocks over the past three years from which it is still recovering. The first was the bursting in 2000 of the stockmarket bubble and the associated boom in investment, which left numerous companies across the world with high levels of debt and excess capacity. The second was the marked increase in geopolitical risk following the terrorist attacks on the US on 11 September 2001. Furthermore, the increased risk and oil price premia in the long run-up to the Iraq war also held back global recovery. Several countries (particularly Germany) are now faced with the threat of following Japan into deflation. For business, transaction costs have increased with the need for greater security precautions and international travel has become more risky. So why are most countries' business environments to improve over the next five years? The main reason is that over the medium term neither the present weakness of the world economy nor geopolitical uncertainty are expected to slow the pace of economic reforms and established long-term trend towards improving business operating environments across the globe. In the EU, for example, tax burdens are being reduced despite the budgetary constraints under Economic and Monetary Union and important structural reforms are being pushed through. EU enlargement in 2004 will act as a powerful force for discipline in central and eastern Europe in the years ahead. And while certain countries have recently raised sectoral barriers to trade (eg the US in the steel sector), the world's two largest trading partners, the EU and the US, are likely to ensure that bilateral disputes do not spill over into the WTO Doha round. The trend for liberalisation and deregulation continues to be underpinned by powerful factors such as regional integration and intense competition for foreign investment. Isolated instances of policy reversals will continue to occur, but these will often be of a short-term nature (as in Argentina) and will not become a more general trend. Toronto, Ontario, is one of the world's fastest growing financial centres. The Economist Intelligence Unit's global business rankings model is applied to the world's 60 largest countries, which account for more than 95 per cent of global output, trade and foreign direct investment (FDI). It measures the quality or attractiveness of the business environment and its key components. The model considers 70 factors, across 10 categories, which affect the opportunities for, and hindrances to, the conduct of business. The resulting scores allow us to rank the countries in order of attractiveness to business. The model is used to generate scores and rankings for the past five years, and also for the next five years (using the Economist Intelligence Unit's economic forecasts and assessments of likely business and political developments).